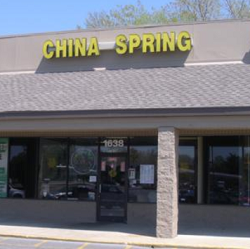 Murfreesboro Police are investigating a commercial burglary at China Spring on Middle Tennessee Boulevard, near Fred's. A burglary alarm was responded to by M-P-D Saturday morning just after 4am. The front glass door had been broken out and the cash register was gone. A search of the nearby area turned up the cash register, which still had the 80-dollars that was left inside. The company did have video surveillance, but it was not set to record during the overnight period.